Poteau, Oklahoma has a very rich history. The earliest known inhabitants here were the Caddo Indian. Part of the Mississippi River valley culture, the Caddo here represented the western-most border of the empire. The next group that came in is recorded to have been the Norse. While this is not proven, Norse rock inscriptions, known a runestones, have been found from Heavener all the way up to Turkey Mountain in Tulsa. The Poteau Runestone is housed in the LeFlore County Museum. Following the Norse, the next settlers to the area were the French. They established fur trading camps along the Poteau river, with a major camp located at the base of Cavanal Hill. The first white settlement came in the late 1800's and centered around where Dewey and Broadway intersect. This historic study revolves around the old town area. This graphic shows the area around Broadway and Fleener. The original town of Poteau resembled a scene out of a wild-west movie. Dusty roads, wood frame buildings with false fronts, and gun-clad men on horseback were a common scene. 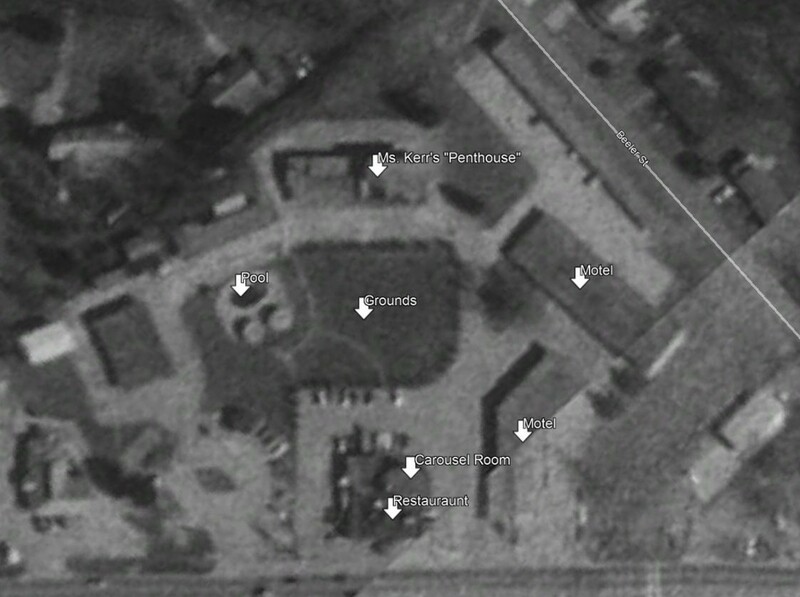 The photo above shows the row of businesses that existed where the courthouse lawn is today. They consisted of general stores, meat markets, hotels, barber shops, and drug stores. Perhaps the most important business in the old town district was the Flener House. Melvin Fleener came to Poteau during the construction of the Frisco Railroad. He was section foreman and was in charge of housing for the railroad workers. Following the line, each town along the Frisco was 2.8 miles apart. This can be traced today with the towns of Panama, Shady Point, Tarby Prairie, Poteau, Sorrells, Smacker, Cavanaugh, Wister, and on down the line. 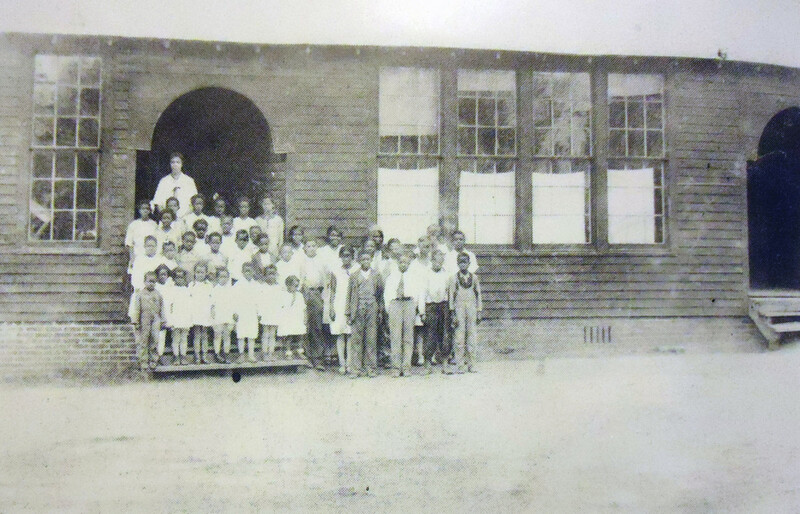 As Melvin established these camps, he also built small boarding rooms to house the railroad workers. After arriving in Poteau, he decided to stay. His camp initially was nothing more than a small shack, but by 1890, he had one of the largest and most visually stunning hotels in the region. The representation here is based off of old photos of the hotel. It consisted of eight rooms, a large dining hall, and a large parlor. Most rooms slept 8 to a room, making this hotel capable of housing 64 people a night. As it was located just across from the railroad depot, it was the most popular place for travelers to stop by. The next most important building was the old Frisco Depot. A small structure, this building consisted of an area for passengers and freight. The depot was surrounded by a large platform where freight could be loaded on to the cars. Just across the lines was another large platform. As was typical in those days, there were two separate entrances; one for white people and one for black people. Although Poteau was considered a liberal town in those days, where the color of your skin didn't matter much, people coming in from other parts of the country required the two separate entrances. Poteau was then known as Poteau Switch. This was because of the KCS lines to the west and the Frisco lines to the east. Passengers would "switch" between the two large railroad lines in Poteau, which accounts for the numerous hotels and eateries that existed here. A block down to the north was the stockades. This is where cattle and other animals would be loaded on to the railroad cars. 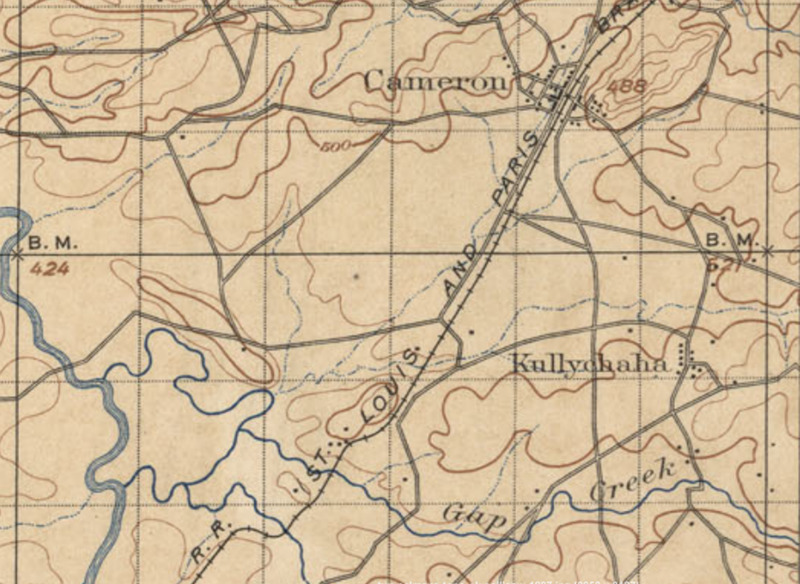 Three blocks further to the north was the cotton platform. 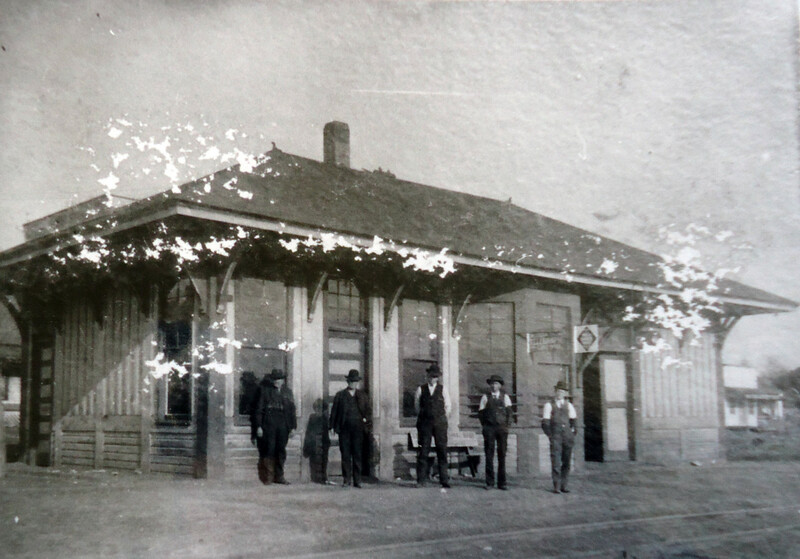 The original depot, pictured above, was located at the end of Dewey and Peters. A second, more modern depot was built in 1915 a block north. This eventually became City Hall. The McKenna Building was Poteau's first permanent building. Built in 1899, it still stands today. This building originally faced the railroad tracks and consisted of a millinery (hat shop), a cash goods shop, and the Poteau Opera House on the bottom floor. The Indian Territory Courthouse was located on the second floor. Around 1890, as Poteau's population began to soar, T. T. Varner and a group of other gentlemen began the process of moving the U.S. Federal Courthouse from Cameron to Poteau. Finally, in 1899, the move was approved by congress. T.T. Varner moved the courthouse by loading up all of the records in a buggy pulled by a mule team and relocated in Poteau. Shortly afterwards, he build a large, two story home within sight of the McKenna Building. The Federal Courthouse was presided over William H. H. Clayton. Many know him as the Hanging Judge Parker's "right hand man". The McKenna building was constructed by Captain Ed. McKenna. He was a civil war hero who fought on the confederate side. 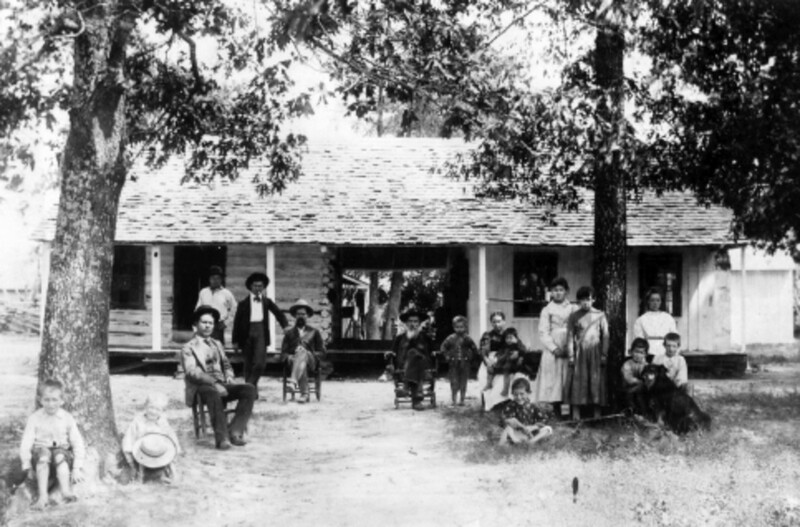 After the war, he began land speculation in what would become LeFlore County. Seeing the growth in the area, he decided to locate his offices in Poteau, and had intended them to be in the second floor of this building. However, after learning of the federal courthouse moving to Poteau, he quickly decided that having the courthouse purchase the upstairs of his building would be a much more lucrative venture. During the late 1800's, the two primary means of transportation included railroad and horse & buggy. For those coming in to town to visit, many times they needed a place to keep their teams. The livery, located at the south end of town, was an importation destination point for those people. For others, they could "rent" out horses for $2 a week. Liveries typically included a covered barn to keep horses, an open area for buggies, as well as a blacksmith shop and leather shop. With the growing popularity of the automobile in the 1910's, liveries were not needed as much. Instead, they were turned into automobile garages and the blacksmiths, instead of shoeing horses, began to repair cars. Many times this worked out fine, but as they were not trained mechanics, they could easily do as much harm as they could do good. The historical study of Downtown Poteau was completed by the author, Eric Standridge for a presentation to the Oklahoma Historical Society. Poteau was chosen primarily because of its importance in Oklahoma's history, especially during the Indian Territory days. When the project was started, virtually nothing was known about the early days of the town. The process included three years of gathering research and then compiling it into a readable format. Once a basic timeline was established then photos, maps, and other documents were analyzed to create the virtual rendition. The virtual environment was created in Active Worlds. Active Worlds is a popular virtual chat and entertainment platform that was first released in the late 1990's. The reason it was chosen was because of its ease of use and real time capabilities. A large ground map was first created within the software based off of fire insurance maps, townsite maps, and other available data. Once that was in place, photos were used to reconstruct the major buildings such as those shown here. For buildings that didn't have photos, basic replicas were constructed based on buildings of the time frame found in other nearby towns. This created the basic framework. Additional details were added in later, such as the trees, people, particle effects, sound effects, and physics engines. These effects create a sense of the real world. The original old town was modeled to scale based on maps and photos of the original buildings. The area encompasses around 10 blocks along Broadway, running from Hulsey to Hopkins. Completed over a course of two years, this is the most accurate virtual rendition of an old town in the region. Every effort was made to be as accurate as possible.